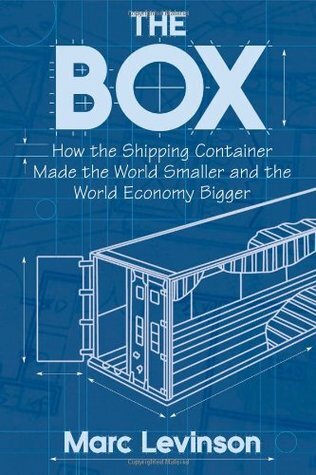 I recently read The Box: How the Shipping Container Made the World Smaller and the World Economy Bigger by Marc Levinson. It'a a book about shipping containers, the big metallic boxes you see everywhere. 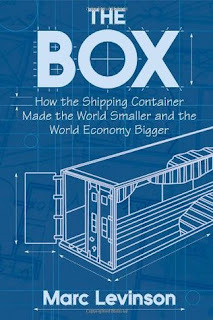 The book tells the history of the containers and also discusses about how it changed the economical laws of the world. The topic was really interesting at least to me. I've always been interested about the big economic systems and how those get changed. Shipping containers have seriously changed the world and could be seen as one of the latest industry revolutions before the internet. The topics in the book vary from unions to ship buildings to urban development to the actual shipping containers. So it covers a lot of topics which belong together via the containers. Unfortunately the book was bit longish to read, even thought it was interesting. There are quite a few people introduced and it was bit difficult to follow all of those. Also all the different parts covering union wars and strikes were bit boring. I believe the book could have been even 100 pages shorter with good editing. I still recommend this book to everyone. These kind of books explaining the world and the big economic systems there are, are important. People usually are terrible at understanding these systems and this book explains those in quite an interesting way.